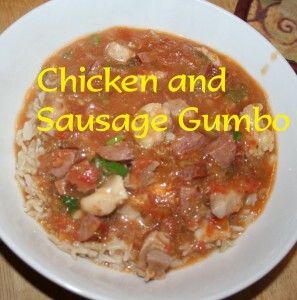 I had never had Gumbo, let alone, make it! I always thought it had okra in it and I am not a fan of okra. I tried fried okra at buffets before and didn’t even like that. I have Amish heritage (which in my experience means food is fried or gravied or fried AND gravied), so if I didn’t like it fried, I doubt I’ll like it any way. 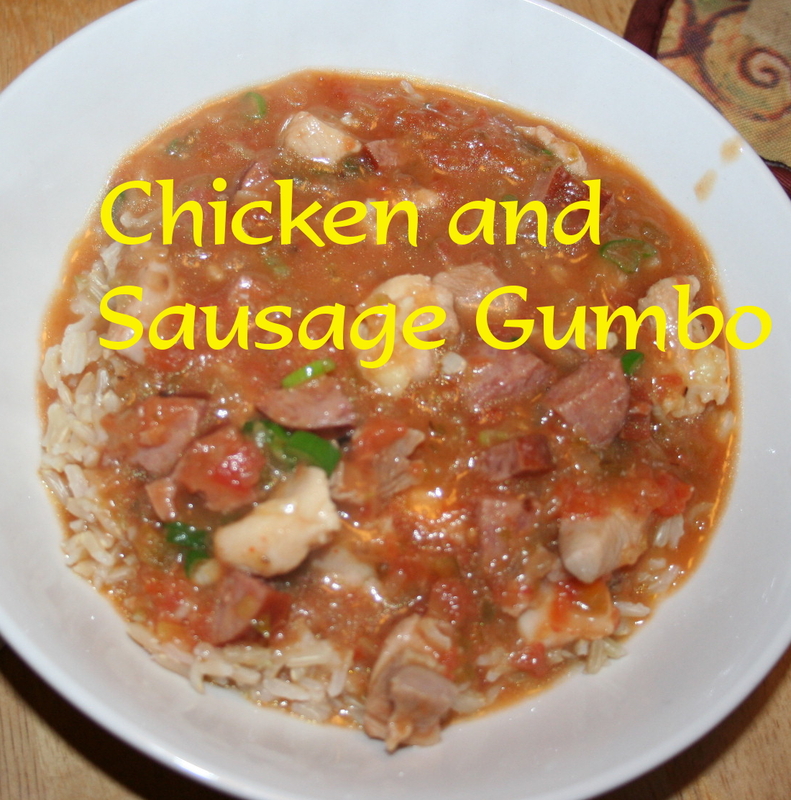 So you might wonder why I am posting a recipe for Gumbo then. The answer is easy . . . I found one that did not have okra, tried it, and loved it. So I’m sharing it with you today. 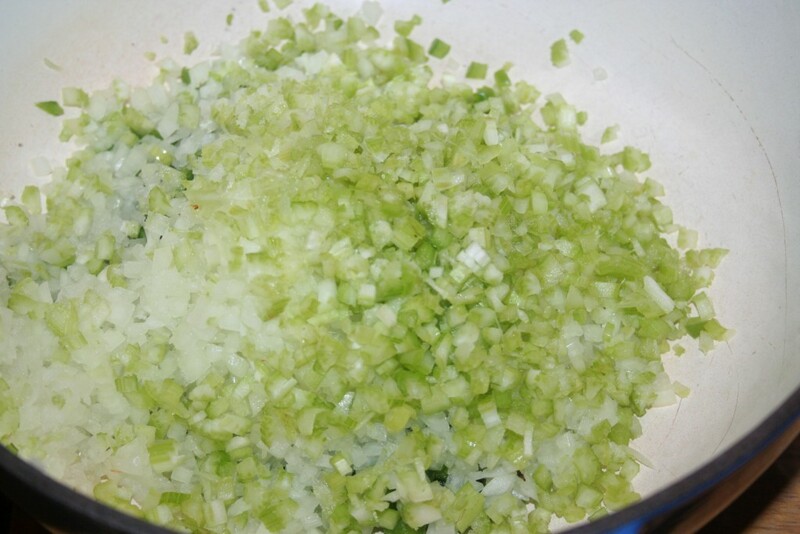 Begin by chopping the veggies: onion, green bell pepper, and celery. Heat oil in dutch oven over medium-high heat and add the veggies. I do this because we do not like our veggies to have any crunch left in them at all. 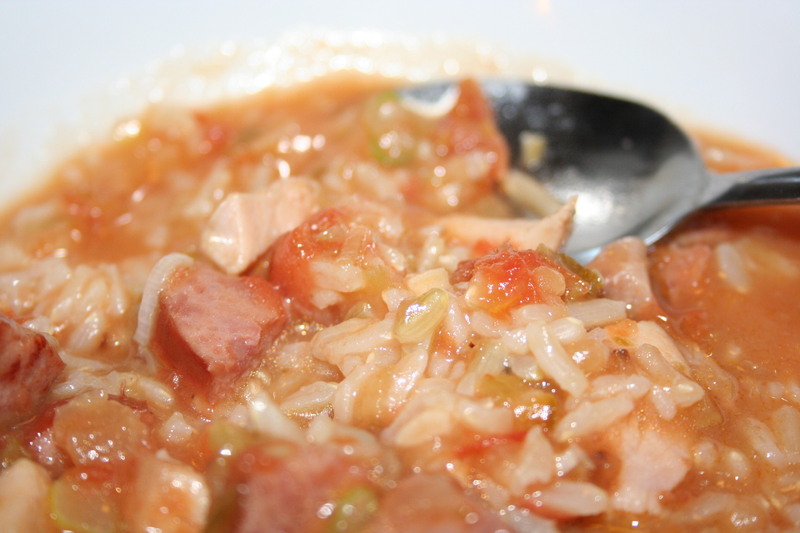 If you like that crunch and don’t have picky children, feel free to add the kielbasa, garlic, and oregano (or basil or thyme) at the same time. 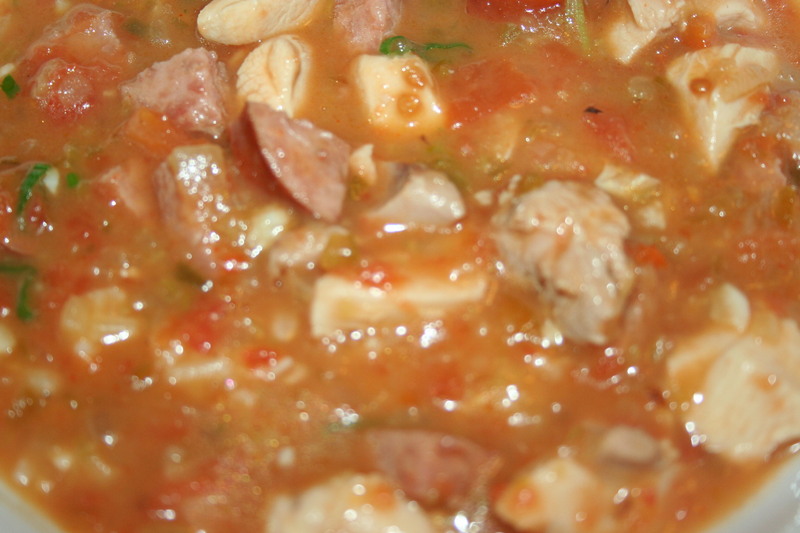 While that is cooking, cut up the chicken thighs and kielbasa into bite-size pieces. When everything is pretty done, stir in the flour and cook for a minute. 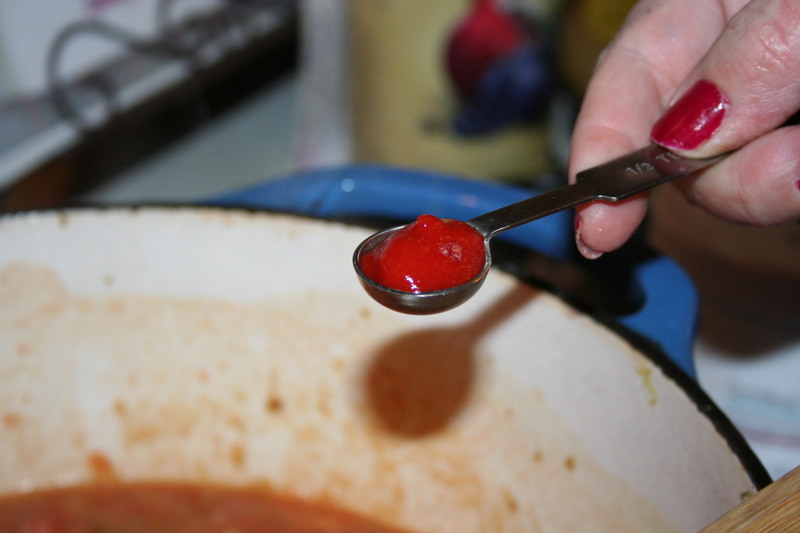 Then add the broth, tomatoes (which I puree so there are no chunks), chicken and hot pepper sauce; this time I used Sriracha. Then reduce the heat to medium and simmer, partially covered until the chicken is cooked through and the broth is thickened. Depending on how large you cut your chicken pieces, this could take anywhere from ten minutes to a half hour. Remove from heat and stir in the scallions. 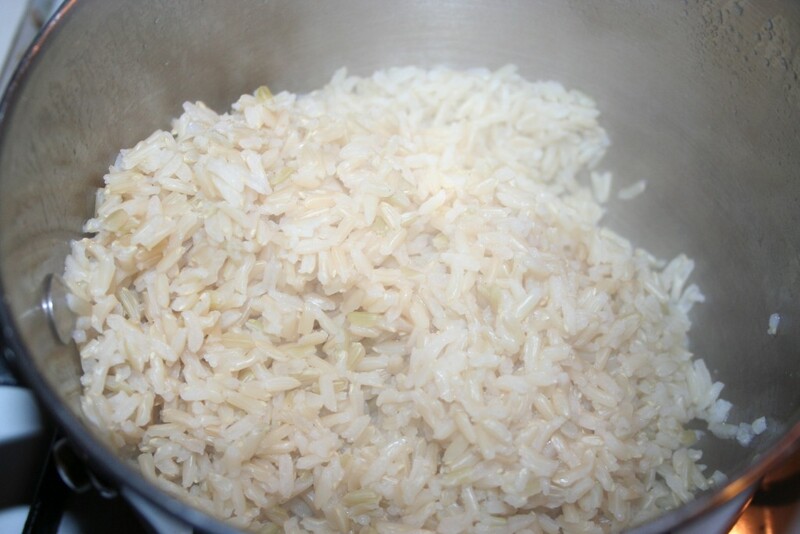 Serve over brown rice. Heat the oil in dutch oven over medium-high heat. Add onion, celery, and green pepper. 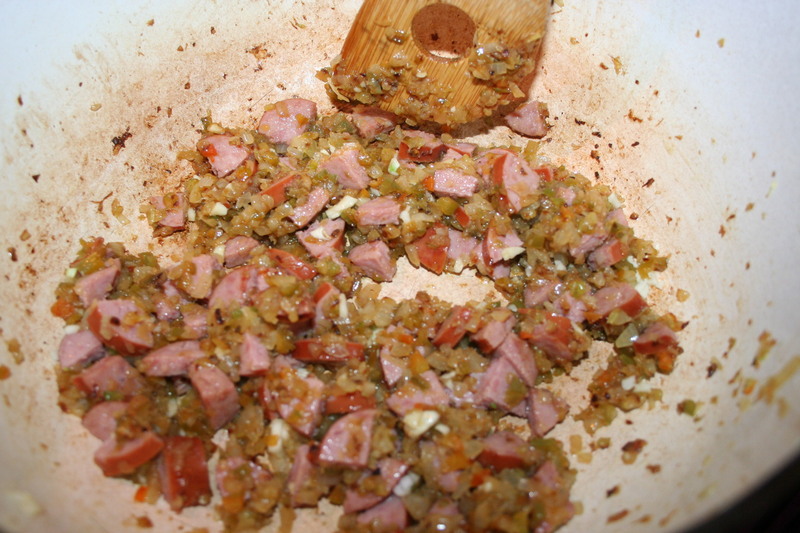 When they are translucent, add kielbasa, garlic, and oregano (or herb of your choice), cook about 5-7 minutes or so. Add the flour, stir and cook for a minute or so. 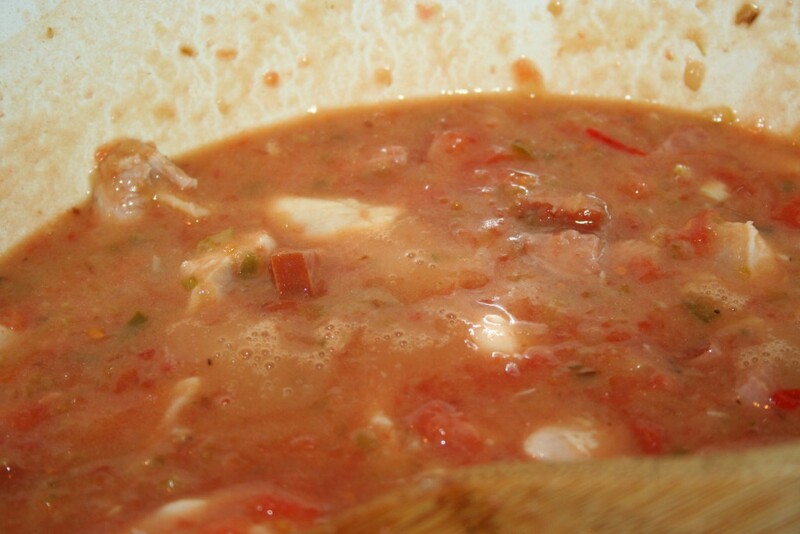 Add broth, chicken, and hot pepper sauce and bring to a boil. 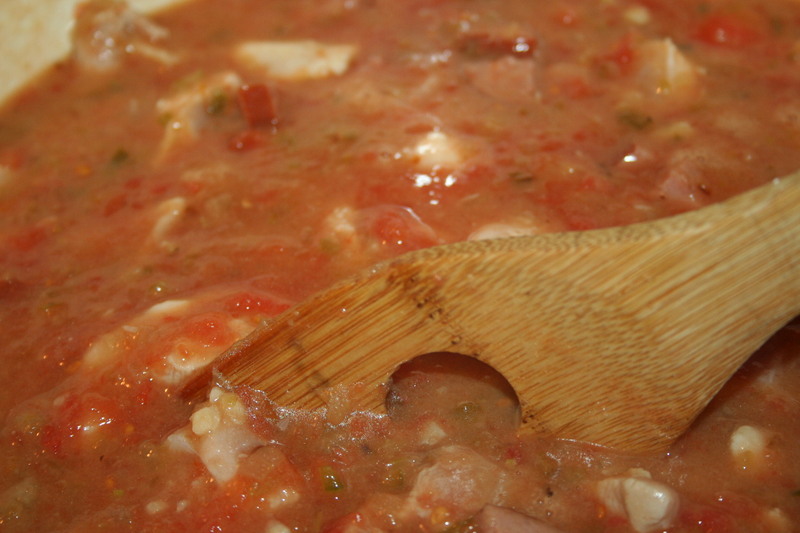 Remove from heat and stir in scallions. 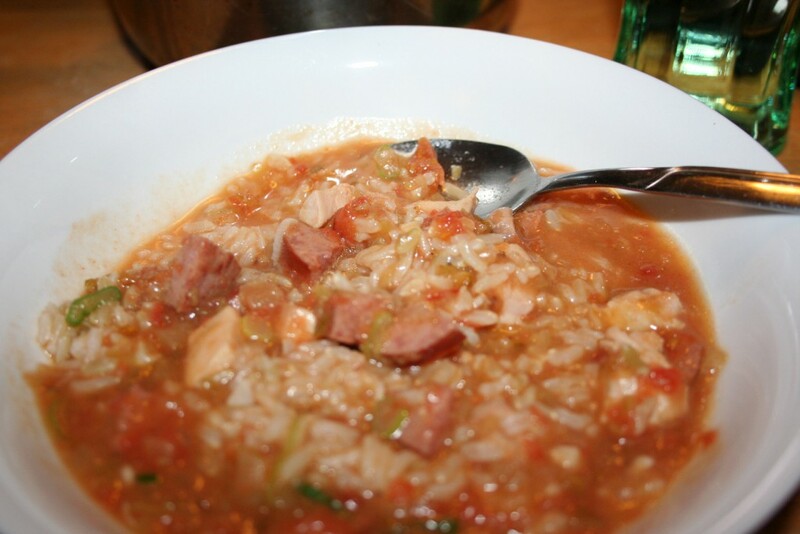 The family really loves this, especially served with sourdough bread.